The first election period for the new Legal Practice Council (LPC) closed at 12 noon today, 3 October 2018. Throughout the nomination and election process for Council members for the LPC, the Law Society of South Africa (LSSA) has encouraged legal practitioners to participate in this historic process. This will bring into existence a national body to regulate all legal practitioners – attorneys and advocates – for the first time in the history of the legal profession. The LSSA has noted with concern the views expressed by some legal practitioners in the media criticising as unconstitutional the ‘quota system’ for the election of LPC Council members gazetted as part of the regulations made by the National Forum on the Legal Profession (NF) under section 109(1)(a) of the Legal Practice Act 28 of 2014. ‘We acknowledge that, as this is the first of such elections, it cannot be expected to be perfect nor totally satisfactory. 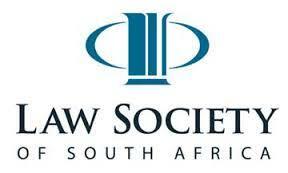 Although the Act itself does not define the quotas, it does require that the composition of the LPC must, as far as practicable, take into account the racial and gender composition of South Africa – not that of the legal profession,’ note LSSA Co-Chairpersons Mvuzo Notyesi and Ettienne Barnard. Attorneys must vote for the ten attorneys and advocates for the six advocates to serve on the LPC. In terms of the regulations to the Act, four black women attorneys, three black male attorneys, one white woman attorney and two white male attorneys with the highest number of votes in their respective categories will constitute the ten attorneys on the Council, and similarly the two black women advocates, two black male advocates, one white woman advocate and one white male advocate with the highest number of votes in their respective categories will represent the advocates’ profession on the Council. The LSSA points out that the NF – which included representatives of the attorneys’ and advocates’ professions – debated and agonised over this issue extensively and painstakingly over many meetings. Similarly, the Justice Portfolio Committee was not comfortable with the concept of quotas. ‘We all agree that this is not the ideal way to elect representatives, but we understand that, until such time as the demographics of the legal profession reflect the demographics of our country, this was the reasonable way to ensure demographic representation of black and women Council members on the new Legal Practice Council,’ say Mr Notyesi and Mr Barnard. Congratulations to the following legal professionals on being elected to The Legal Practice Council yesterday.